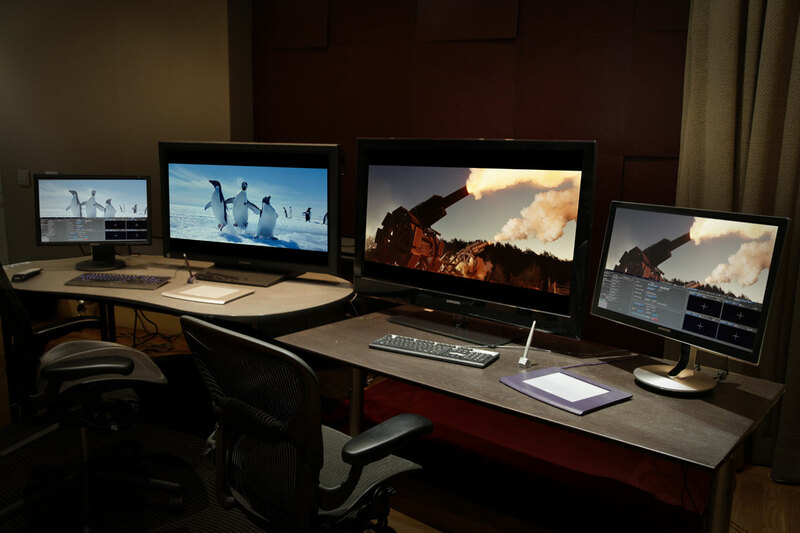 Digital Media Services utilizes a dedicated 2K/4K transcoding application that automates high-quality digital file conversion to deliver faster-than-real-time processing to transcode, decode, convert, wrap and process image and audio files to various high-end file formats. Colorfront Transkoder is used for DCP and IMF mastering. The system includes the industy’s highest performance JPEG2000 encoding and decoding, 32-bit floating point processing on multiple GPUs, MXF wrapping, accelerated checksums and AES encryption and decryption, IMF/IMP and DCI/DCP package authoring, editing, transwrapping, and is fully compliant with HDR. Headquarters is a Dolby Vision Certified facility.